DJI is the biggest drone retailer in the world. The Chinese company has taken over the market of drones for amateurs, commercial and hobbyists. Their drones are mainly made for recording, however there are also agricultural drones and drones with thermal cameras, both used for purposes other than recording. 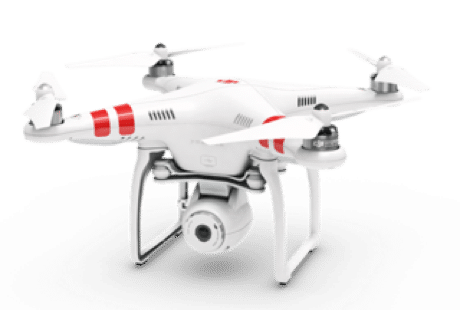 At this time DJI has released over 30 different drones on the market and a third of these are the Phantom series. 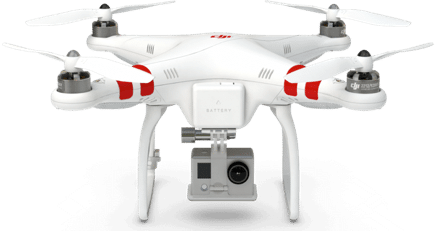 The Phantom is the biggest seller of DJI and also the drone that took them to where they are today. You can easily recognize this drone by its shape which hasn’t changed a lot from its original model from over 5 years ago. The above pictures show two products separated by 4 years of improvement. We are now going to see what has changed inside and outside these UAVs. This was the first quadcopter of DJI. A basic drone with just a compass inside, you could mount a GoPro under it without moving it while flying. With a Gopro under, the flight time was around 10 minutes. The Phantom 1 was released on January 2013. 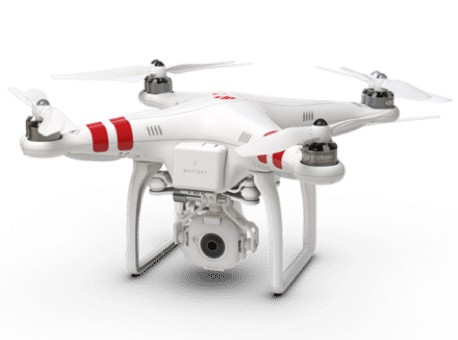 This drone was made for amateur filmmaking and was quickly upgraded to the Phantom 2 which was released less than a year after. 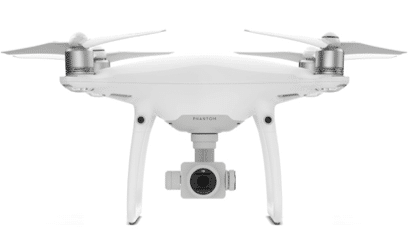 The Phantom 2 was commercialized in December 2013. 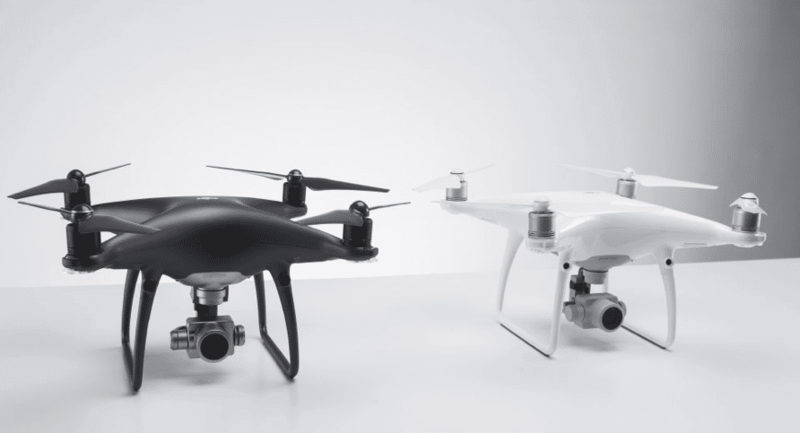 The Phantom 2 drone had 4 different versions. We are first going to speak about the standard Phantom 2. This drone seems to make no difference from its shell but DJI did some major work on the components inside. Actually, it was the first Phantom to have the auto-return but this was not the only improvement. The flight speed was increased as well as the range and the flight time. It was also the first drone from DJI which had a wi-fi module. This drone included a 4 GB micro SD card and the first built-in anti-vibration mount. It was also the first drone equipped with a GPS tracker to hold the position as well as self-tightening propellers. The camera was included with a one axis gimbal, free to shoot up or down with just the sliding of your finger. 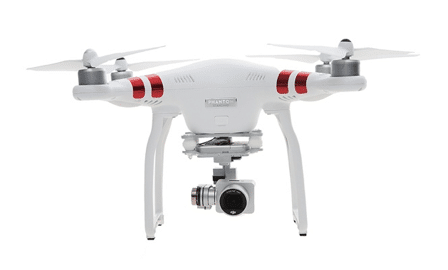 Like the Phantom 2 Vision and the Phantom 2 Vision+, it is equipped with an iOS/Android app control, Wi-Fi and GPS module. Though the camera angle has to be set before manual takeoff. The biggest improvement made on this drone was the three-axis stabilizer and the software-implemented for the no-fly zone, which warns the user where not to fly. This drone came out in July of 2014. 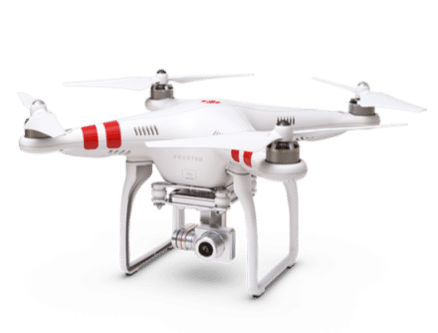 The Phantom 3 was released in April of 2015, the major improvement on this drone was the built-in Lightbridge downlink which increased the control range up to 3 miles. There are 5 different models of the phantom 3 which all share the same shape, the only changes are the color strips as well as the remote. It is recording in 2.7K/30fps, the video transmission signal uses Wi-Fi which allows only a range of 1 kilometer (0.63 miles). The battery allows a flight a little above 20 minutes. The remote is basic without an on/off button and also the button we know as return home is absent. This will be changed when the phantom 3 4K shows up. This drone is pretty much the same as the standard but with a better video transmission thanks to the Lightbridge downlink which increased the range to 3 miles. The recording quality is the same. These drones record in 4K for both of them, the biggest difference is the range and the remote. The 4K has a range of 0.7 miles while the Pro has a range of 3 miles. The only other difference is the remote. The phantom 4 Pro as a remote with many more options on it. The SE is almost the same as the pro but the connection between the mobile device and the remote is through Wi-Fi. The Last Phantom of DJI which was released in March of 2016. The Chinese company wanted to make the Phantom much more reliable with different sensors to avoid obstacles. These sensors took place in the front of the drone and also below the drone. This drone is heavier and bigger than the P3 do to a bigger battery, however it has a better flight time and a better top speed. (Top speed: 20 m/s while it is 16 m/s for the phantom 3) The Phantom 4 has a flight time of 30 minutes. The second version of the P4 was released one year later, the main differences were the camera with 20 Megapixels (instead of 12.4 for the P4) and the range which was upgraded to 4 miles. 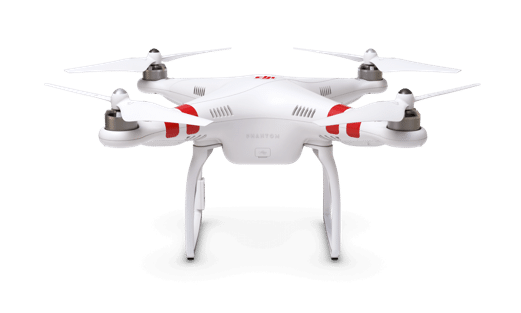 The Phantom 4 Pro is the safest drone for any pilot to fly thanks to the sensors in the front and below just like the P4 but also on the sides and behind the drone. You can record backwards for example and still have the obstacle avoidance, this is why the phantom 4 Pro is the safest drone to fly right now. The only difference between the phantom 4 Pro and the Obsidian is the color, the Obsidian is the first Phantom in Black. I hope you enjoyed this article! Thanks for reading and feel free to contact us if you want some more information about drones. 954-580-955.